This blogger's first encounter with a patent attorney was watching, as a teenager, the sci-fi classic "The man who fell to earth" which starred the late David Bowie. For those of you who don't know the plot, Bowie plays an alien that lands on earth and proceeds to patent with the help of a patent attorney nine basic inventions. If you have not seen the film, then I won't reveal the rest of the plot. Spoilers can be found here and here. Bowie played not only role in my future career, but was also an innovator in IP finance and issued in 1997 the first celebrity bond in which he issued a security that paid an interest rate of 7.9% guaranteed out of the royalties received by Bowie on his works. A total of US$55 million was issued in bonds, which were all purchased by an insurance company. 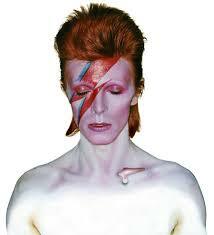 Bowie used the money to purchase his back catalogue from a former manager. The bonds were not a great success and Moody's downgraded them to just above junk status in 2004 according to this report. Apparently the reason was the lack of commercial success of Bowie's latest album (which was, however, not part of the royalty stream securitised by the bonds). Other musicians have gone down the same road, but the reduction in revenues has reduced interest. Litigation (see here) between former partners in the business has probably also not helped. Bye bye GE Appliances--but what about the brand?